The scheduler activity will be updated to the newest version. This activity is currently being used across Learning Space for course sign ups and tutorial bookings. 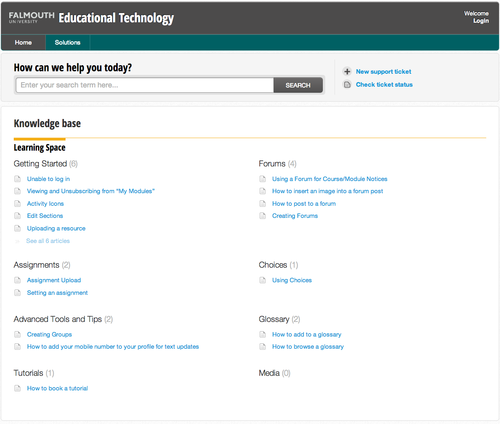 Educational Technology have updated their online Knowledgebase to make it easier to find help information as you navigate through Learning Space. Clicking on “Help” takes you through to an area where you can search for an existing help query, click on a category to get help with a particular activity, or create a new query to get support from a member of the team. The module interface has had a redesign to give prominence to content. Menus are lightly faded and decluttered, resources and activities and navigation buttons are identified more clearly. Key module information is now visible in the top left of your module page. You now have easy access to those forms and forums that are central to the module. 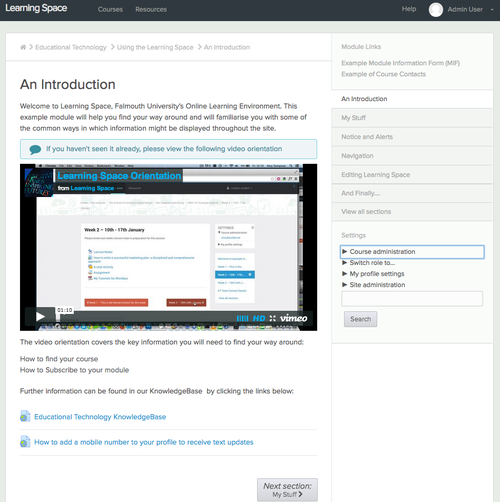 We’ve added in the ability to upload user pictures to personalise the learning experience. With a greater amount of home based learners and associate lectures that aren’t campus based, user pictures help re-connect us and improve motivation and use of social features, such as forums. 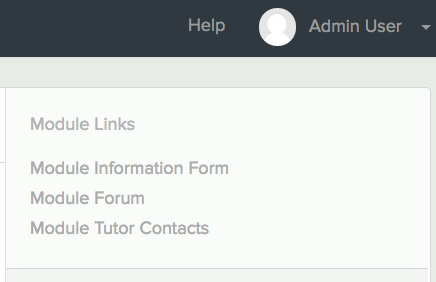 In the example above, module tutors are identified by their user pictures and hovering over the picture reveals the name. Users without a photo are depicted as silouhettes.